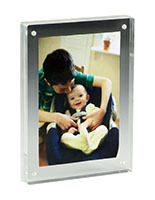 These Picture Frames are Made of Durable Acrylic and are Built to Last! 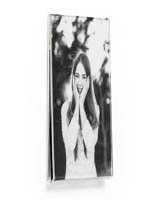 These Picture Frames can be Used on any Steel or Magnetic Surface to Display Your 5" x 7" Photos! Buy Plastic Photo Frames, Hundreds of Styles and Sizes to Choose From! These picture frames offer an easy and convenient way to decorate your home. 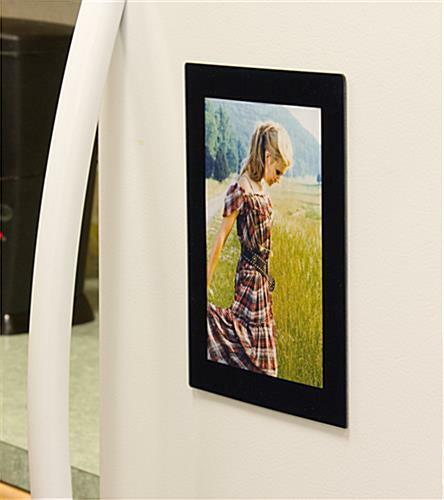 These picture displays are the ideal picture frames to use on your kitchen refrigerator. 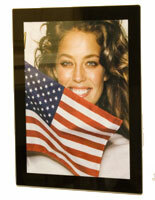 The photograph displays, picture frames are an original way to exhibit pictures of your friends and family. 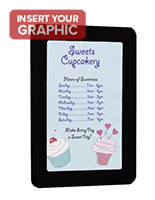 These picture frames are an economical purchase for a high quality product. 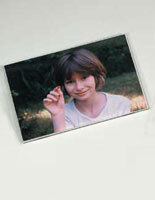 These picture holders, picture frames are fabricated from rugged, lightweight acrylic. The back of the picture frames are lined with magnets that will hold firmly to most steel surfaces. The picture frames, also referred to as photo displays or print holders, require no tape, holes in the wall or cracked plaster for mounting! Merely align your 5" x 7" picture inside the frames borders and apply to the appropriate surface!